A hole in the transmission line caused by a lightning strike. As of Wednesday, May 24, 2017, WRMO (93.7 FM in the MDI area) is back on the air. 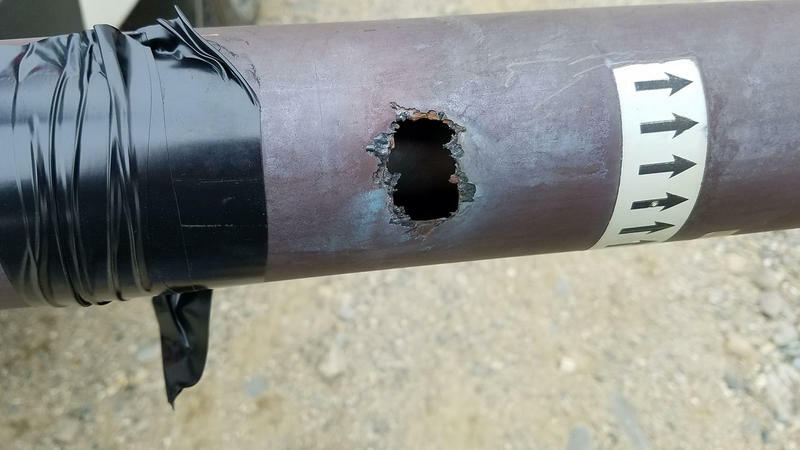 A rare lightning strike the previous week burned a hole in the transmission line and in the brass and silver antenna on the 300+ ft. broadcast tower. 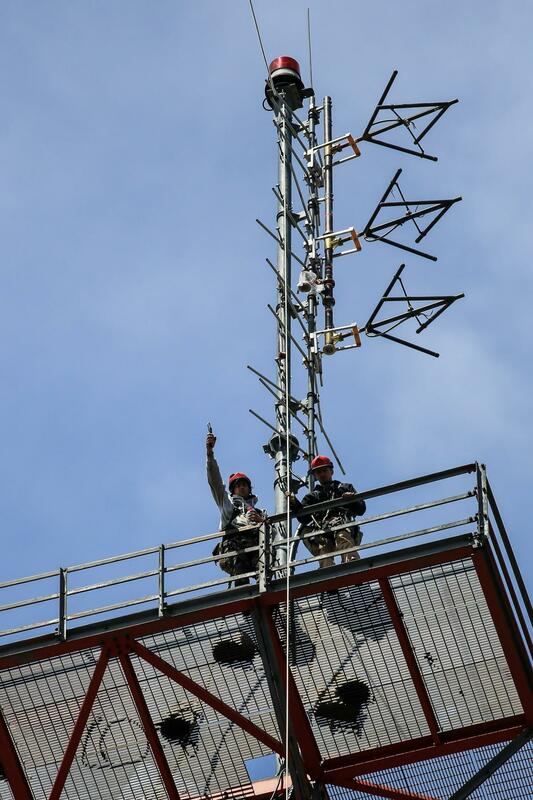 Gil Maxwell, Maine Public’s Chief Technology Officer and his team supervised the installation of the new antenna and replacement transmission line. 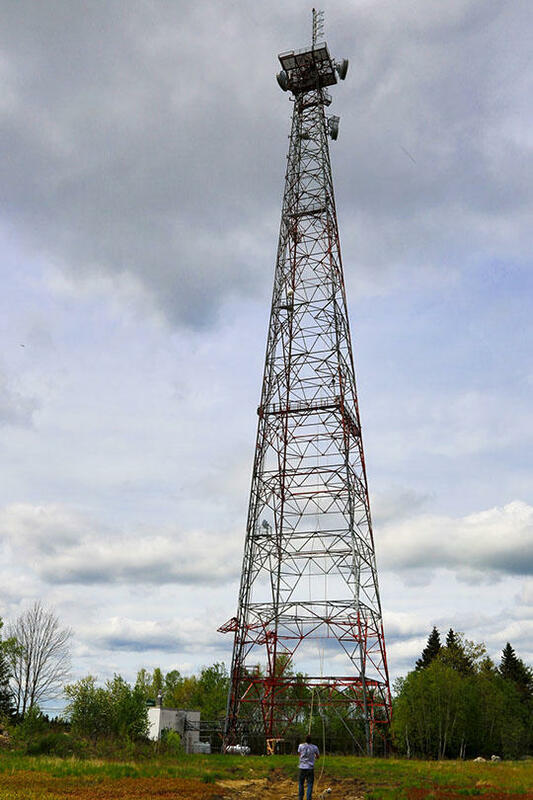 WRMO is Maine Public Classical’s newest and largest signal and the transmitter is located in the highlands above Hancock, Maine. It serves Elllsworth, Bar Harbor and Downeast Maine. For more information: Where to Hear Maine Public Classical.